It was designed in 1939 by the Portuguese architect Jose Angelo Cottinelli Telmo alongside his countryman, sculptor Leopoldo de Almeida. 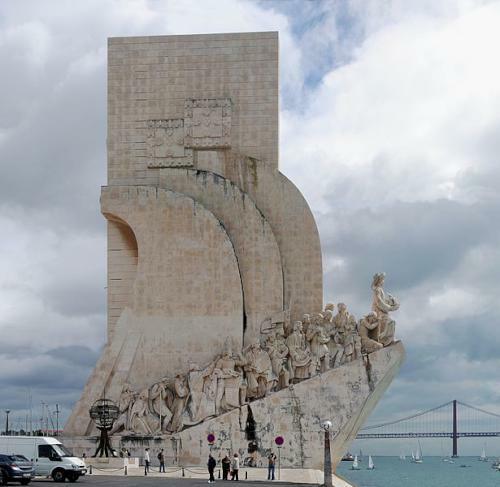 Initially intended as a temporary structure to mark the opening of the Portuguese World Fair which took place in Lisbon in June 1940, the original structure was demolished after the exhibition, however it was decided by Royal Decree in 1958 that a permanent structure should be erected. It is this structure, made from cement and rose-tinted stone, with statues sculpted from local limestone, which sites in pride of place today. The project is still based on the original by Cottinelli Telmo and was inaugurated in 1960 – fittingly to coincide with the 500th anniversary of Henry the navigator’s death. 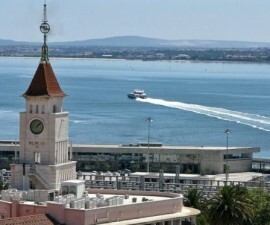 It is an exact replica of its predecessor and stands at 171 feet tall. 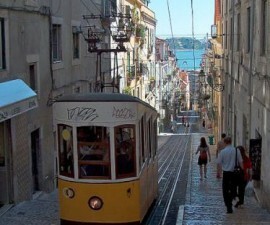 It is located in the Belem area of Lisbon, which was the starting point for so many of the discovery voyages. 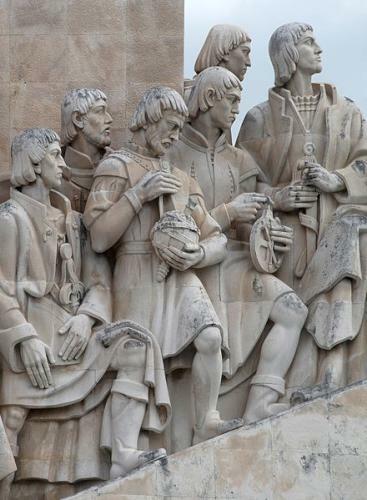 Indeed, it was from Belem that Vasco da Gama embarked on his voyage from Portugal to India in 1497, and it was here too that Christopher Columbus anchored on his way back to Spain following his historic discovery of the Americas. 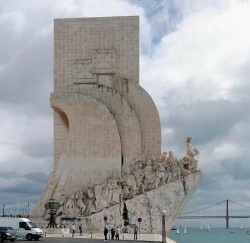 The Discoveries Monument is located close to the Jeronimos Monastery and can be reached via an underpass from its gardens. 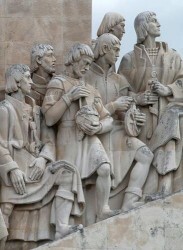 The sculpture comprises more than 30 statues of people who played an important historical role in the discoveries, led of course by Henry the Navigator himself. The latter is shown standing on the bow of the ‘ship’ holding a model of a caravel. The mosaic was donated by the South African government when the monument was rebuilt in 1960. It is possible to go inside the Discoveries Monument, where you will find a museum, exhibition halls and various other rooms and areas spread out over an impressive seven floors. 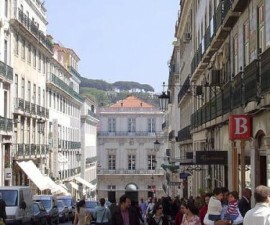 At the very top, accessible by elevator, is an expansive terrace which offers breathtaking panoramic views over the district of Belem, the Tagus River and the rooftops and spires beyond.